Loud explosions were heard and a smoke in the sky of Riyadh was seen on 11th April 2018 evening, Saudi air forces intercepted missiles launched by Houthi militia towards Riyadh, Najran and Jazan. The missiles were fired with the aim of targeting civilian areas. Scattered pieces of missiles fell on residential areas, But, Alhamdulilla! No injuries or damages were reported as per the statement issued by Colonel. This attack marked the 4th time in last 5 months that missiles have flown over Riyadh. - Before this early morning, air defense systems were able to detect an unidentified dronesin the direction of Abha International Airport and Jizan and was dealt accordingly said Arab Coalition spokesperson. - Firing of ballistic missiles at populated cities or villages is contrary to international humanitarian law. 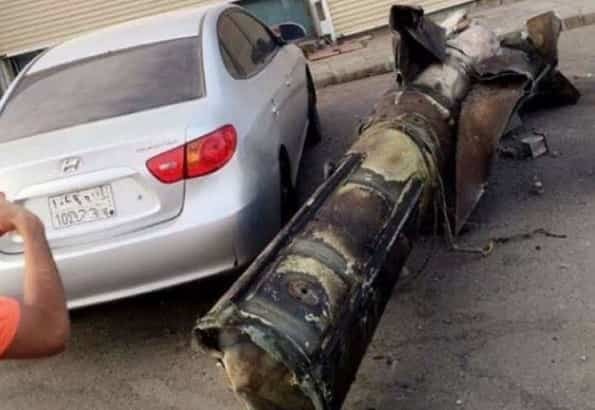 Last month 7 missiles were fired at Riyadh and other cities, which makes the biggest number since March 2015 and killed an Egyptian resident of Riyadh, The 1st death ever reported in Riyadh from Houthi missile strikes. - After examining the scattered pieces of the object, specialists of the joint coalition forces said it was found to be a hostile Al Houthi aircraft with Iranian characteristics and specifications that were trying to target airport protected under international humanitarian law said Gulf News report.